Packing: 25 kg net 3-4 ply paper bags with a strong poly inner bag. 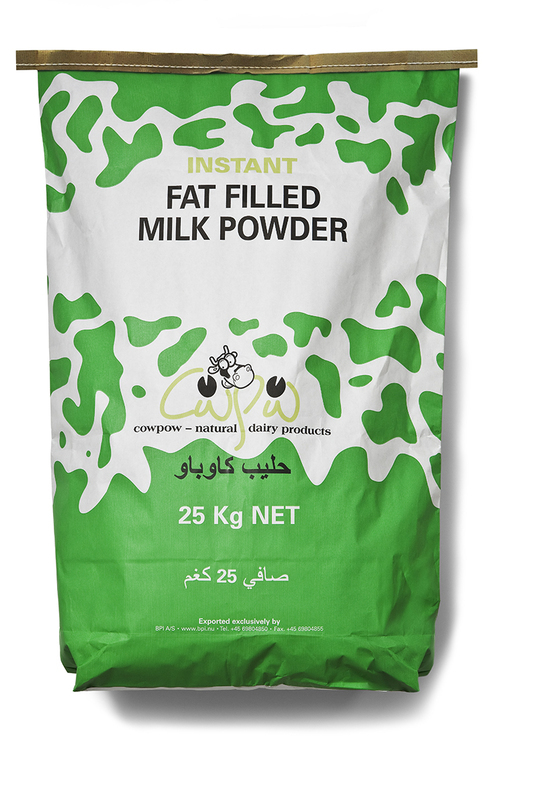 Fat-filled milk powder instant is an excellent full cream milk powder substitute and milk – fat application base in the manufacture of e.g. : ice cream, milk beverages, analogue cheese. It can be used successfully in bakery, confectionary and food concentrate industries.